Arsenal take on Watford on Saturday afternoon and boss Unai Emery has been handed some positive injury news ahead of the encounter. The Gunners are on a fine winning run currently, securing six consecutive victories in all competitions as they continue to build confidence and improve under the Spanish tactician. A fundamental part of maintaining their run though will be to avoid injury setbacks and put out a familiar starting line-up to build that consistency and help them continue to move in the right direction. With that in mind, Emery will be delighted with the fact that Sokratis has recovered from his leg injury which he suffered in the win over Everton, and in turn could be in line to feature against Watford this weekend as per freelance injury analyst Ben Dinnery in his tweet below from the Spaniard’s press conference on Friday. The Greek defender has brought solidity and experience to the Arsenal backline, and although they haven’t been great defensively as a whole so far this season, he is now an important part of their side. Arsenal have crept up to sixth place in the Premier League standings after their slow start, scoring 12 goals but conceding nine. That shows where the obvious area in need of improvement is, and so it remains to be seen if they can do that with Sokratis back in the mix. 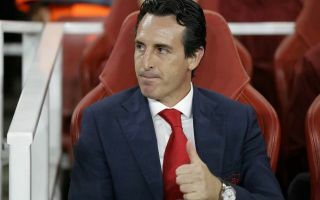 It’s a busy period of the season coming up with Europa League games coming thick and fast too prior to the international break, and so Emery will undoubtedly be pleased to get as close to a fully-strength squad as possible sooner rather than later.